Our on-premise version has an inbuilt timesheet software (integrated module) that allows users to capture actual time spent by every resource on projects. 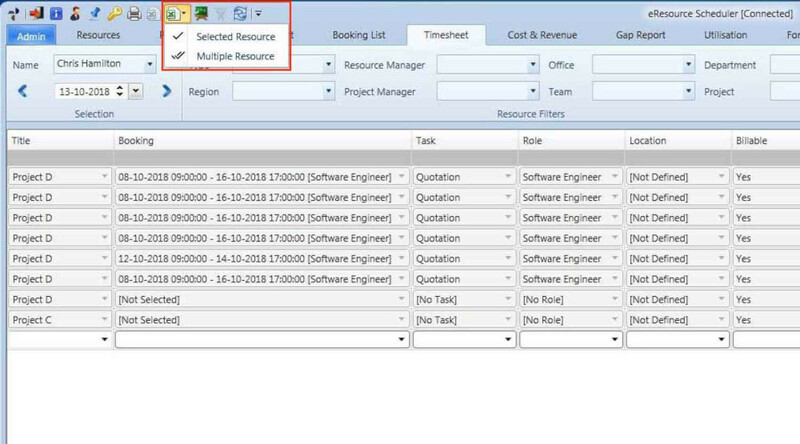 This information is used for timesheet reporting, to compare planned versus actual utilization of resources, to compare planned versus actual effort at project level. It also facilitates capturing actual cost and revenue at resource and project level. Different resources might have different approval requirements. 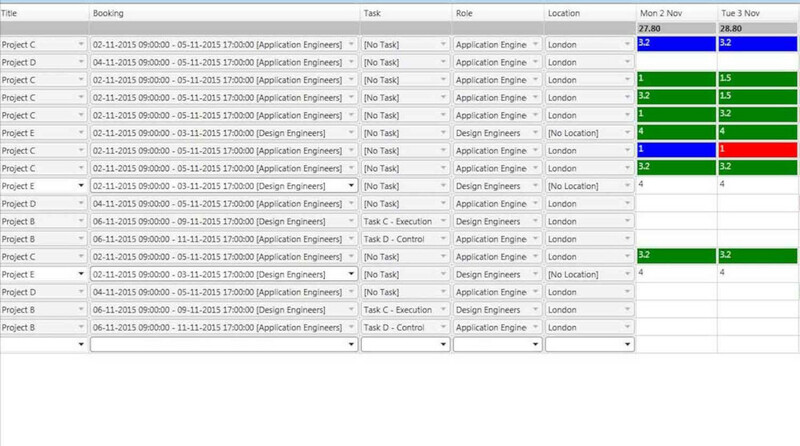 Thus our timesheet software allows defining approval method (manual or automatic) for every resource. 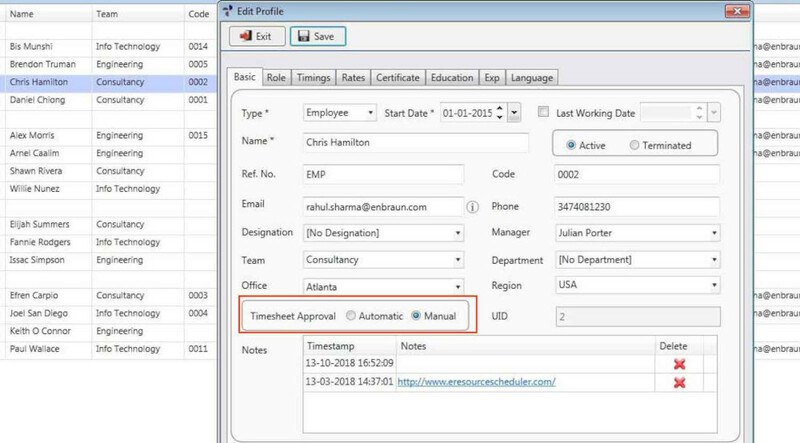 If manual approval is selected, then timesheet entries need to be approved by a user with approval rights before it can be used for reporting. With automatic approval, entries automatically get approved once submitted. Our timesheet allows capturing all important information along with time entries. 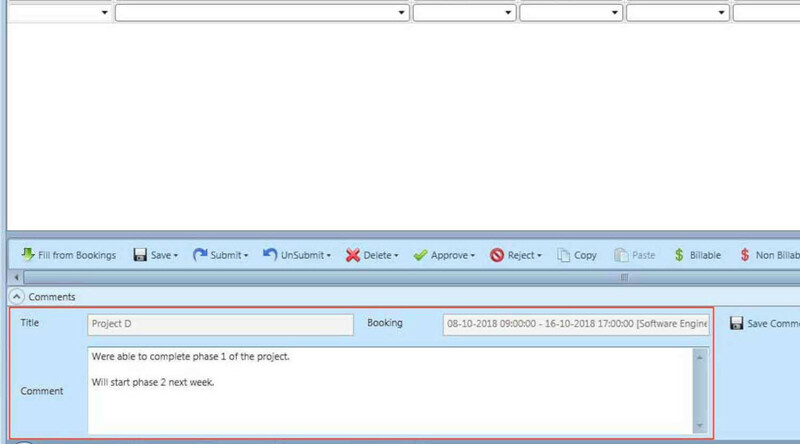 User can capture information like Date, Project Name, Specific Booking (as one project can have multiple bookings), Specific Task (as a project can have multiple tasks), Role that resource has performed and Location where the work was done. All this information facilitates accurate and detailed reporting. Every resource can have multiple time entries every week and month and status of every time entry can be different. 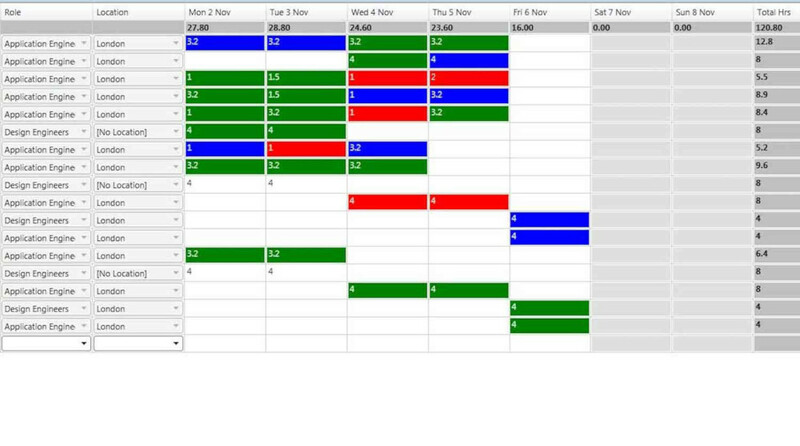 Thus our timesheet software has provided color coding to easily and quickly identify the status of different time entries. Blue signifies ‘Submitted’, Green signifies ‘Approved’ and Red signifies ‘Rejected’. 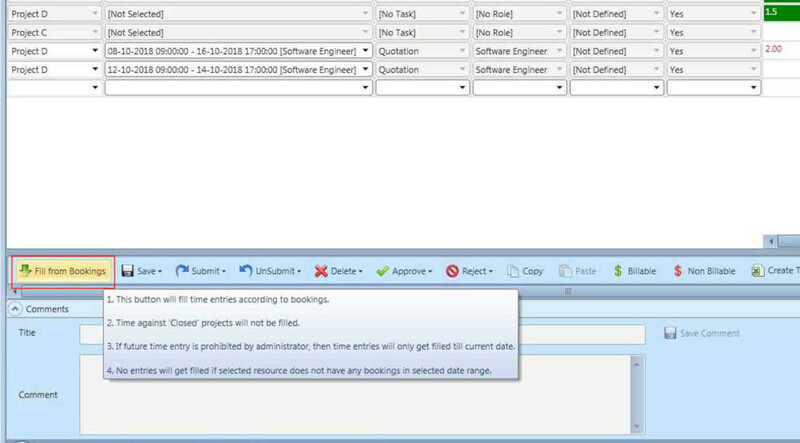 To accommodate requirements of different organizations and to reduce manual effort in time entry, our timesheet software allows manually entering time or automatically pre-filling it from resource schedule. In environment where actuals are significantly different than planned, manual time entry can be used and in environment where actuals are more or less same as scheduled, user can pre-fill time from schedule and then make minor changes before submitting. Our timesheet software allows users to enter comments or text information with every individual time entry. This helps in capturing details of work performed and also acts as an mode of communication between resource and approver. All comments are also exported if timesheet is exported to excel. To make data sharing and entering easy and quick, we have provided import and export using excel. User can choose to export timesheet entries of one or all resources to excel and time entries can also be imported using our inbuilt excel template. 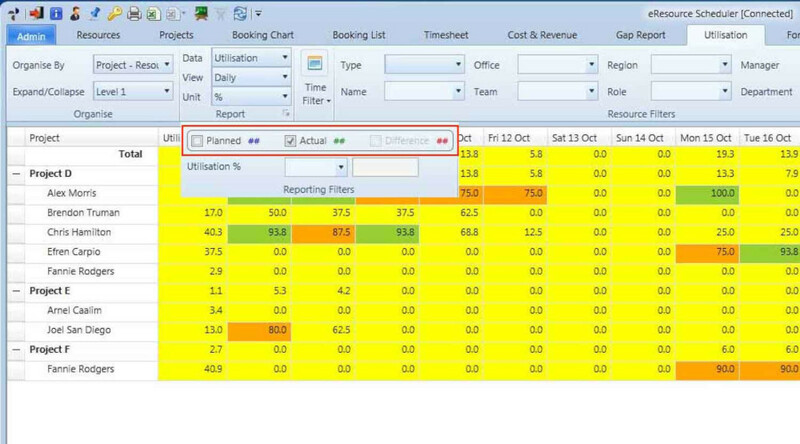 Timesheet data is reported by the means of actual utilization. 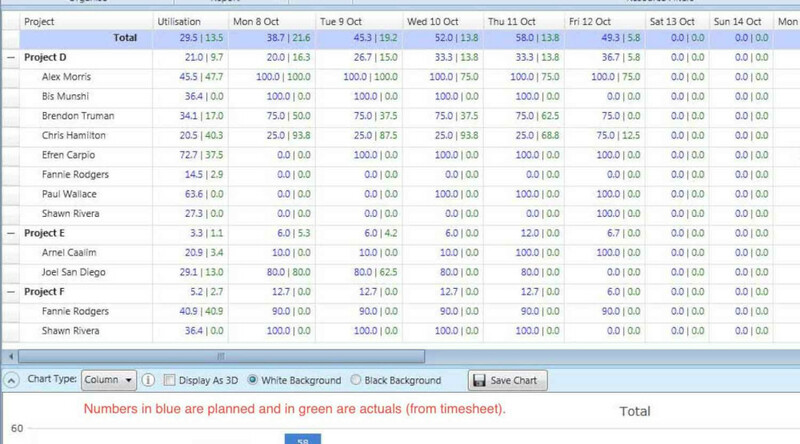 Timesheet data can be viewed by itself or alongside planned utilization for better perspective. 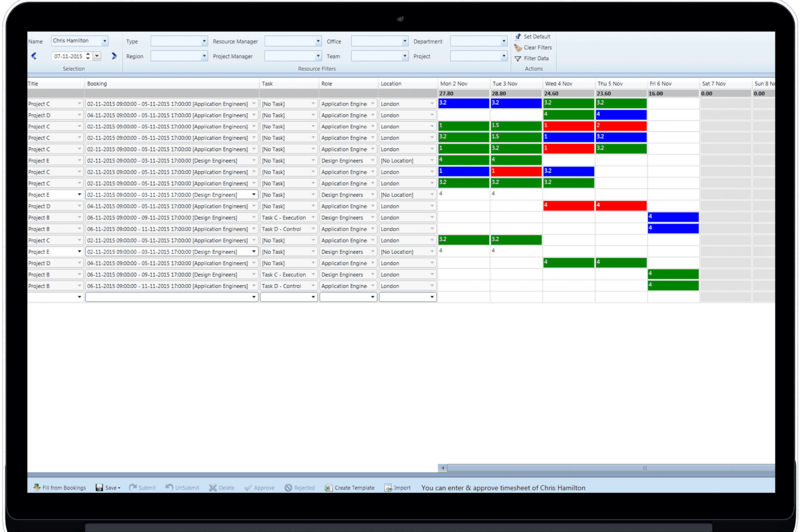 Timesheet data can be viewed for resources or projects and report can be configured to be viewed in different views (days, weeks, months etc.) and in different units (hours, % etc).